With the closure of Filton Airport in Bristol, this particular Air traffic Controller had to find a new job, and the brief search ended at Oxford Airport. I've been there nearly 18 months, waiting for my daughter to complete her 'A' Level course, but with exams over the new house is chosen and I've moved in, camping out solo until wife and daughter join me at the end of July. It's time for some country livin' in the really rather nice village of Ascott-under-Wychwood, in the Cotswold Hills. But the important thing is that whilst I'm there on my own, there's plenty of room for wargaming. Oh yes, the toy soldiers were the priority items on the moving list. Even when I'm en famille, the new dining room will be less of a family room than the old one, so there will be the chance of setting up games and leaving them there for a few days. Or such is my fond hope. Clearing out the cupboards in the old house revealed a stack of old wargames magazines, which of course I will be keeping. I find I am the owner of the first ever Miniature Wargames and the first ever Wargames Illustrated. Flipping through these old magazines, some of them going back to the 1970s, raises some interesting comparisons with today's products. Generally, the conclusion is that magazines these days are a lot better - better articles, better photos, better everything. The old issues of Miniature Wargames that I have, edited by Duncan Mcfarlane, are really surprisingly dull in many cases, and Wargames Illustrated isn't much better. Some of the articles hardly seem to be about wargaming at all. An honourable exception are the half dozen or so issues of Battle magazine I still have. 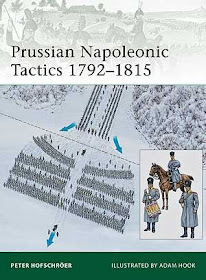 These are actually most enjoyable to re-read, and have many interesting articles by well known wargamers, notably Charles Grant and Terry Wise. The 'editorial director' is one R. G. Moulton, who I've never heard of. Anybody? He certainly knew his stuff. One thing that struck me is that the covers regularly featured actual human beings playing wargames. The two below are my favourites, especially the one on the left. A classic club game in progress, including cigar smoking, and after all these years I'm still itching to join in. Still, at least these days I do have my own windmill. You know what, maybe I'll check out ebay. There might be more of these old Battle mags out there. One thing I found out straight away is that the tension between historical gamers and sci-fi/fantasy/board gamers is an old one. The letters page of Battle in particular is full of good old fashioned, bad tempered sniping. And issues like complex rules vs. simple are also apparently as old as the hills. Nothing much new in this hobby after all. Interesting to see the comparison between those '70s magazibes and todays offerings. One thing that I noticed immediately, apart from the shocking haircuts and fashions, was how basic the wargames tables are on the Battle covers. Things have certainly moved on leaps and bounds in this respect. You know Steve, there's something about those basic tables that attracts me. But maybe it's just nostalgia. Certainly, one would like to enjoy the occasional cigar when gaming. But I fear those days are gone.